Cape Town - Cricket South Africa (CSA) has concluded a deal with the SABC to broadcast the upcoming International tour against New Zealand. The agreement ensures that the upcoming three T20 internationals against New Zealand and the subsequent three ODIs will be broadcast live on SABC. 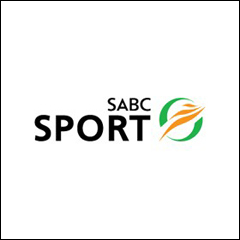 However, the two Tests against New Zealand will not be broadcast live; instead the SABC will show two blocks of footage on a daily basis. This will comprise of a two-hour broadcast in the afternoon which will contain a mixture of highlights and live coverage. There will also be an extensive highlights package in the evening. “We are happy that we’ve managed to come to an agreement with the SABC, but we are disappointed that the Tests will receive limited coverage. Although we are committed to the free-to-air broadcaster as part of our development mandate, we took a substantial cut in our broadcast rights fee to ensure we can take cricket to the South African public,” commented Acting CSA CEO, Jacques Faul. Faul added that CSA will be assessing the situation going forward with regard to the management of free-to-air broadcast rights. Every indication has been given to CSA that the Pakistan series, which follows the incoming series against New Zealand, will be shown by the SABC in its entirety. Sizwe Nzimande, Head of Sport: SABC commented: “The decision to broadcast these matches is a clear indication that we take our mandate seriously and we are cognisant that the public of South Africa deserve to see their cricket team - which is rated No 1 in the world in Test cricket and also highly in the other formats of the game. • All the games will be broadcast live on radio by 2000FM as well on SuperSport.